Cantata Singers' 2017-18 Season celebrates David Hoose's thirty-fifth year as Music Director. In 2016, the Cultural Attaché of the Czech Republic awarded him the Silver Jan Masaryk Honorary Medal for his and Cantata Singers’ performances of music by Jan Dismas Zelenka. Mr. Hoose has also been honored by the Ballets Russes Arts Initiative for his contributions to the understanding and appreciation of culture from Eastern Europe, Russia, and the former USSR, as exemplified by his performances of Zelenka, Schnittke, Stravinsky, Shostakovich, Gubaidulina, and Pärt. 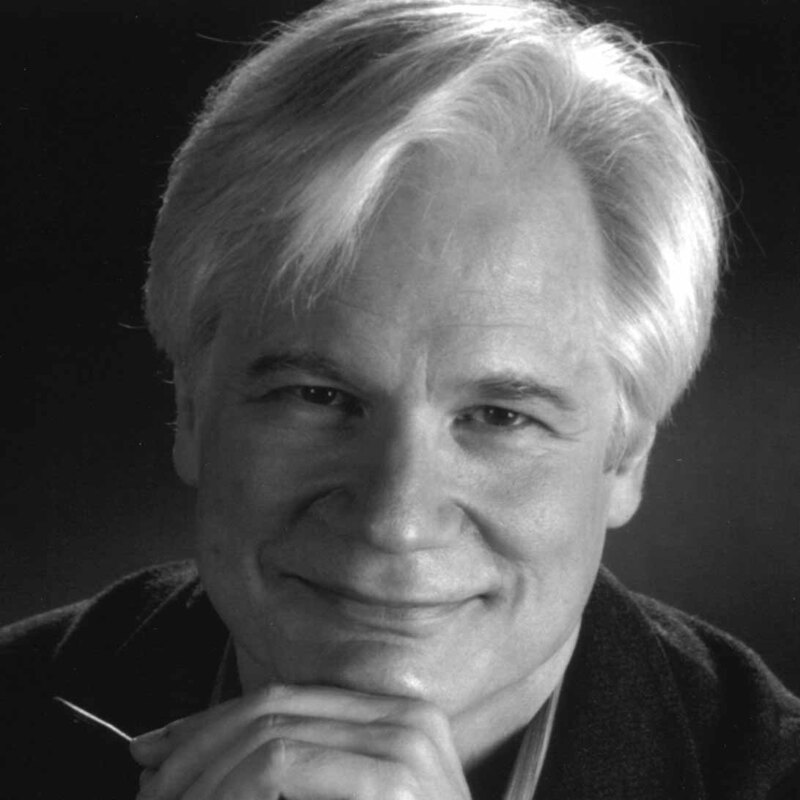 With Cantata Singers, Mr. Hoose is a recipient of the ASCAP/Chorus America Award for Adventurous Programming, and he is recipient of Choral Arts New England’s Alfred Nash Patterson Lifetime Achievement Award, and the Alice M. Ditson Conductors Award for the Advancement of American Music. He received the Dmitri Mitropoulos Award at the Tanglewood Music Center and, as a founding member of the Emmanuel Wind Quintet, was co-recipient of the Walter W. Naumburg Chamber Music Award. His recording with Collage New Music of John Harbison’s Motetti di Montale was a GRAMMY-nominee for Best Recording with Small Ensemble. David Hoose has been Music Director of Collage New Music for twenty-five years, and for eleven seasons he was Music Director of the Tallahassee Symphony Orchestra. Mr. Hoose has taught at the Longy School and at Brandeis University, and he is now Professor Emeritus at Boston University, where for twenty-nine years he taught conducting and was the School of Music’s Director of Orchestras. Mr. Hoose has appeared as guest conductor with the Singapore Symphony Orchestra, Korean Broadcasting Symphony, Orchestra Regionale Toscana (Florence), Quad Cities Symphony Orchestra, St. Louis Symphony, Utah Symphony, and Chicago Philharmonic, as well as at the music festivals of Tanglewood, Monadnock, Warebrook, and New Hampshire. He has conducted the new music ensembles Dinosaur Annex, Fromm Chamber Players, Auros, and Alea III, and he was founder of the Brandeis Contemporary Chamber Players. He has also appeared as guest conductor with the Boston Symphony Chamber Players, Handel & Haydn Society, Back Bay Chorale, Chorus pro Musica, and numerous times with Emmanuel Music and with Pro Arte Chamber Orchestra. For many summers, Mr. Hoose conducted the Young Artists Orchestra of the Boston University Tanglewood Institute, and he has been guest conductor at the Manhattan School, Shepherd School at Rice University, University of Southern California, Eastman School, and several times at New England Conservatory. From 2006 to 2010, he served on the faculty of the Rose City International Conducting Workshop, in Portland, Oregon, and many of his former conducting students from Boston University now hold music directorships with opera companies, university orchestras, and professional orchestras. Mr. Hoose studied composition at the Oberlin Conservatory with Walter Aschaffenburg and Richard Hoffmann, and at Brandeis University with Arthur Berger and Harold Shapero. He studied horn with Barry Tuckwell, Joseph Singer, and Richard Mackey, and his conducting studies were with Gustav Meier at the Tanglewood Music Center. Mr. Hoose is married to the conductor Amy Lieberman.